Have you thought about the ways you can protect your asphalt from the harsh weather that comes with winter? 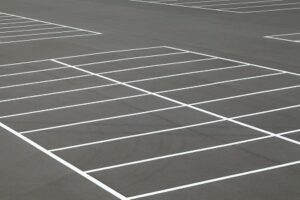 Follow this guide to ensure that your parking lot or driveway will be ready for spring and the rest of the year. –Fix potholes with a specially formulated cold-asphalt mix that’s designed to withstand the weather. -Use a sealcoat to cover the asphalt and provide an added layer of protection. -Crack filling prevents moisture from penetrating the asphalt and creating issues in the sub-base. Ensure that your asphalt area is clear for the most effectiveness in snow removal. Large items could freeze in the winter and lead to structural damage from the added pressure and weight that a layer of ice could add to it. If you use a professional cleaning service, the professionals can recommend any repairs that they see or other ways to help you maintain your asphalt through the season. After snowfall, have your snow removal service on speed dial to ensure that the moisture from the snow doesn’t get a chance to melt and penetrate the surface of the asphalt. If the area is small enough, have a shovel on standby. Keep in mind that improper snow removal, especially with a plow, can cause damage to the asphalt as well, and further damage any worn areas. Common deicing products are harmful to plants, animals, and the environment. Runoff from snow and rain then sends these products down into the sewer system. While it won’t hurt your asphalt, you should consider thinking twice before using these substances and research some alternative methods. Keep up with shoveling maintenance to combat the ice and snow on your asphalt. This entry was posted on Friday, December 22nd, 2017	at 3:55 pm	and is filed under Asphalt	. You can follow any responses to this entry through the RSS 2.0	feed. Both comments and pings are currently closed.